Remember remember the 8th of November! 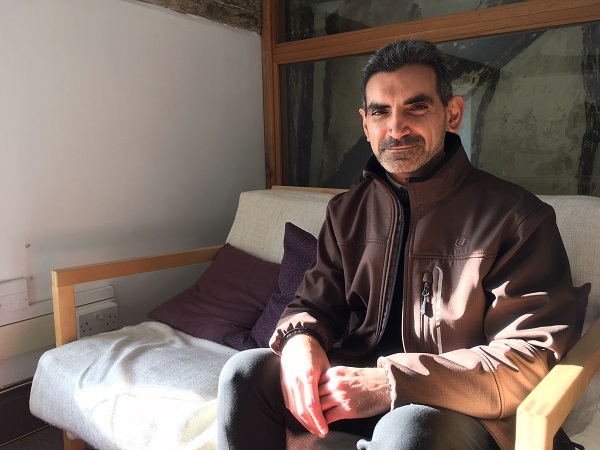 In August, Daniel was cycling through Spon End when he stumbled across a table, some coloured chalk and a collection of handwritten placards bearing individual messages of isolation and hope. Standing at the table was Alice from Grapevine and Daniel felt compelled to stand still and take it all in. This was exactly what the silent megaphone event was designed to do – stop people in their tracks. 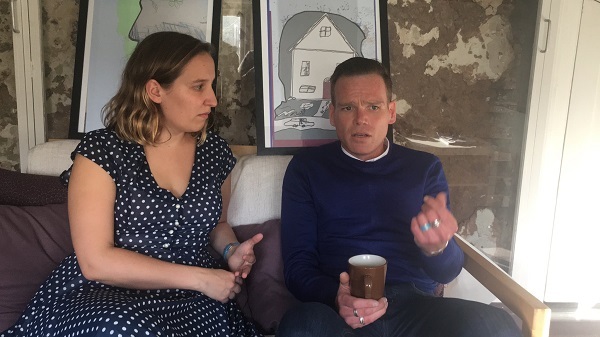 Following that first serendipitous chat with Alice, Daniel came to the Connecting for Good Ideas Factory the following month and sat with a group of strangers who were talking about how better communication between agencies, organisations and people could go a long way to helping Coventry people feel less socially isolated. Since the event, Daniel has taken the ‘People’s Directory’ idea and run with it. He’s been spreading the word on the #connectingforgood movement, drawing both professionals and public in with his boundless enthusiasm for making positive change. This Thursday (8 November) marks the next milestone for Daniel – who is now leading a community of people who care about better communications – with the first Communications Forum, spawned from those original group discussions at the Ideas Factory. 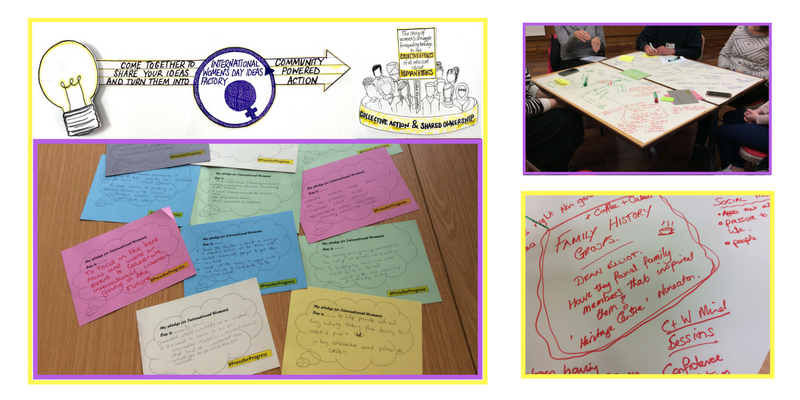 This is Invitation > Idea > Leadership > Event > Progress in action and it’s exciting to see! So, would you like to see some sort of directory created that would make finding out what is going in Coventry easier? 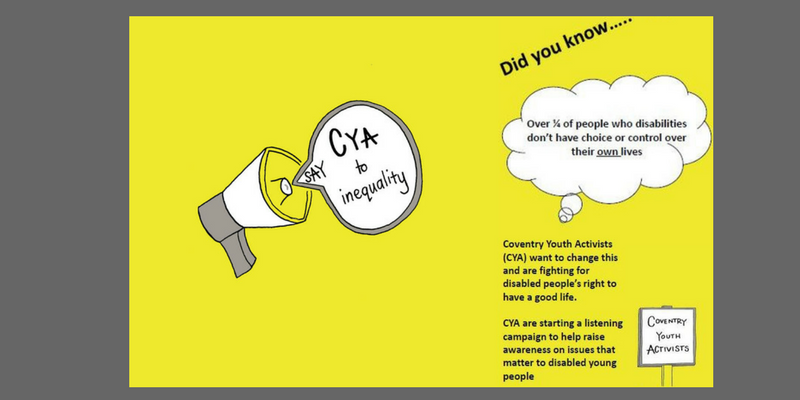 It could include communities and groups to join, hobbies and activities that are happening, opportunities to take part in positive causes, events to attend (or even help run! ), or simply services that offer advice and support. How could we do this? What would YOU do? If you have ideas, come to the Communications Forum! Everyone is welcome. Click here to join the event on Facebook or simply come along. There will also be free food provided by Arabian Bites – a vegan café specialising in Middle Eastern cuisine, staffed by refugees. 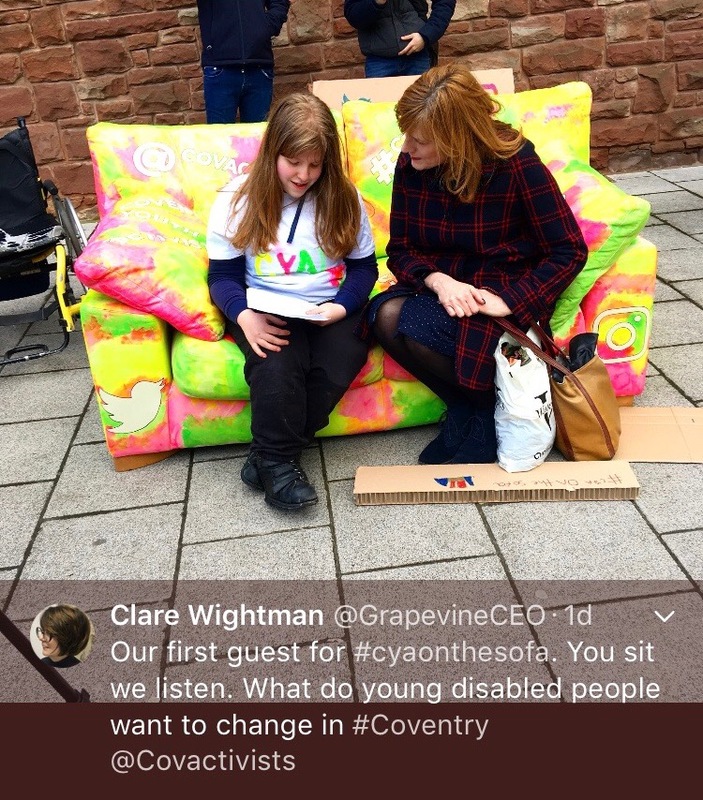 People with learning disabilities in Coventry and Warwickshire are still not having annual health checks with GPs and Grapevine’s H-Team is campaigning to change this on a national level. They generally have poorer physical and mental health and a significantly lower life expectancy than the general population. But it doesn’t need to be this way. Many premature deaths could be avoided if health conditions were diagnosed promptly and treated effectively. Annual health checks should be offered to patients registered with participating GPs who are aged 14 and over and who are known to the local authority social services department primarily because of their disability. General health is discussed in detail during the check and the interaction is used to detect and treat unmet health needs and help manage any pre-existing ones. 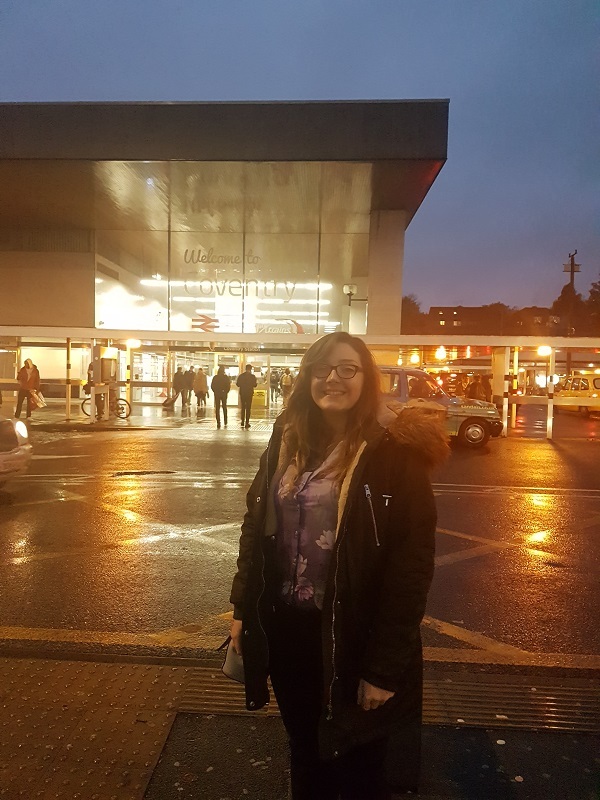 The low uptake of annual health checks is a national problem and that is why H-Team project workers Sam and Kyla took a trip to London this week to join an action group workshop of professionals, including many from NHS England. The meeting was initiated by the team’s desire to turn their local frustrations into change at a national, system level. NHS England’s clinical lead for the ‘Learning Disability Transforming Care Programme’, Kevin Elliott, is leading the action group to start making real changes to the way GPs promote annual health checks and to raise their awareness of their significance in saving lives – from empowering communities to new regulations to training to IT. 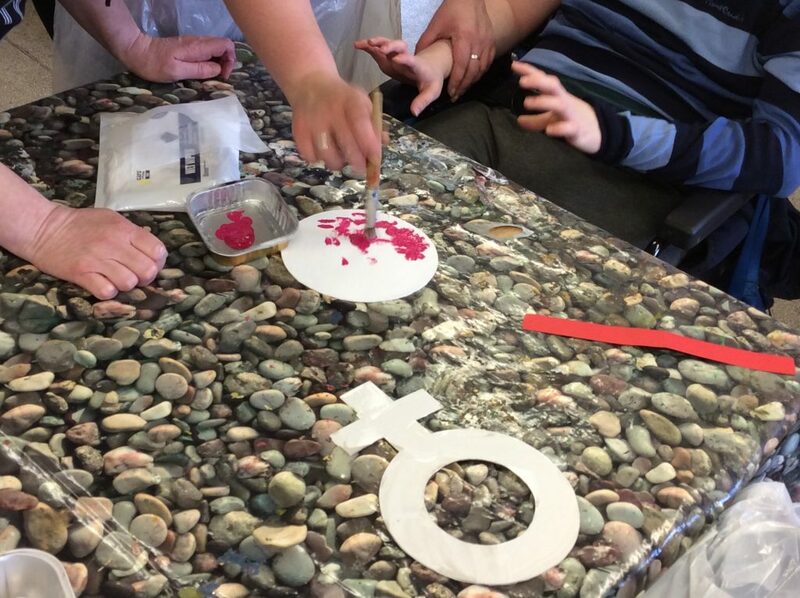 Sam says: “We deliver annual health check sessions to our peers, generating an awareness of what they are, their importance and informing them of their rights. 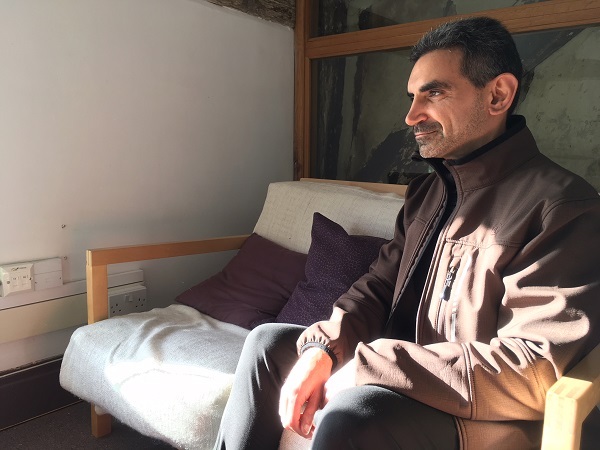 “We have also worked closely with the Central England Law Centre in unpicking the law around health checks and people’s entitlements and rights – spreading this knowledge to parents and carers; giving them tools to help them request the service for the person they care for. 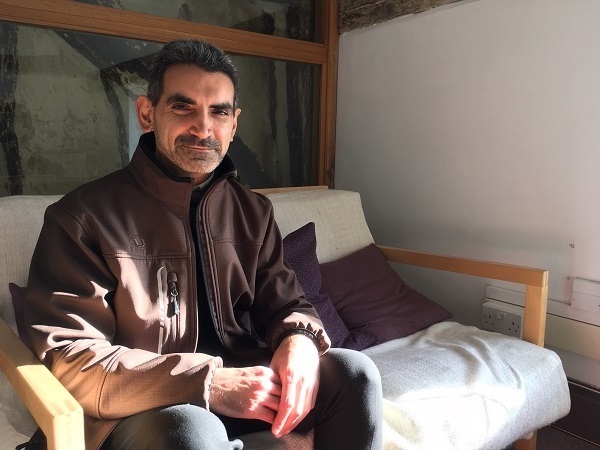 “We have been working with our local hospitals and now our Clinical Commissioning Group (CCG) to develop and deliver awareness sessions to health professionals so they are confident in engaging with a person with a learning disability when they come into their GP practice or hospital. Health is everybody’s responsibility and it is time to make progress on removing some of the inequalities that get in the way of access to the health care that is available for all. The action group next meets in early December for updates and a focus on training and a competency framework. 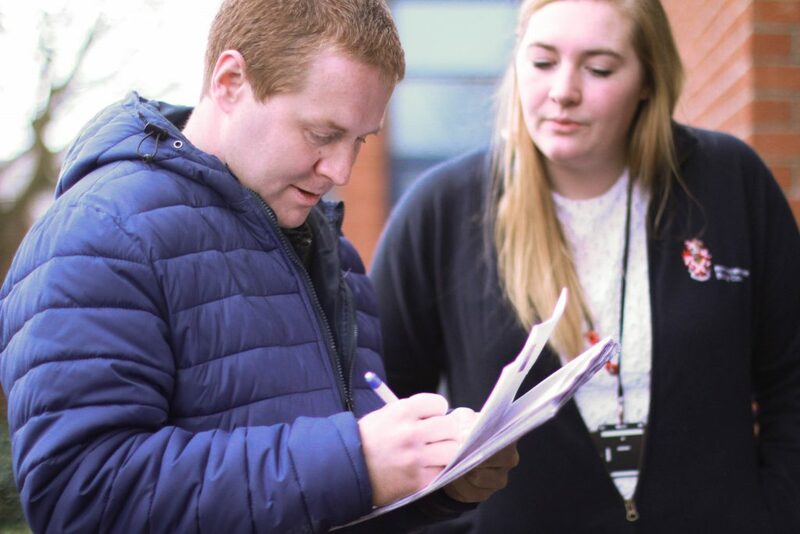 If you or someone you know has a learning disability and is interested in joining the H-Team to help make your peers more aware of taking care of their health and wellbeing, please get in touch! 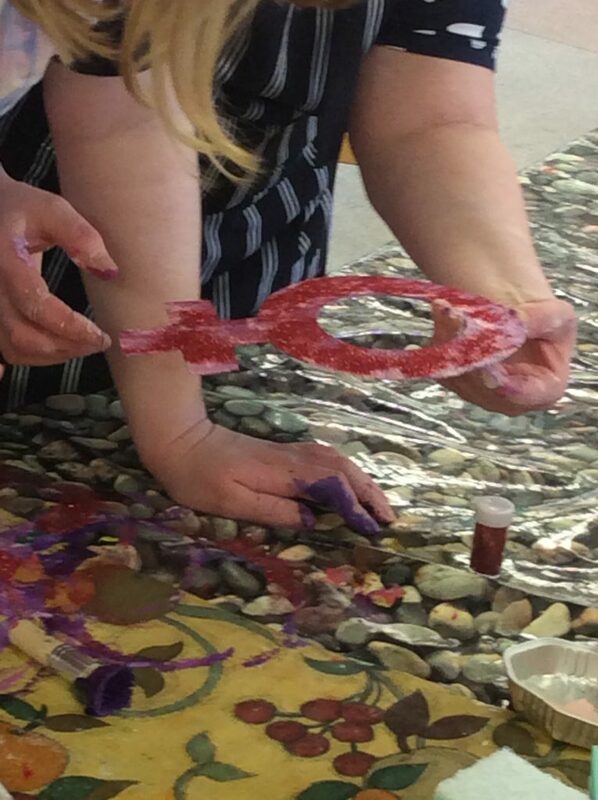 Nuneaton Library officially opened its first Let’s Make Space this week and our Warwickshire Empowerment Service team was there to join in the fun. 3D printing, virtual reality, robots, a theatrical performance and celebratory cake combined to make an enjoyable launch for everyone involved. 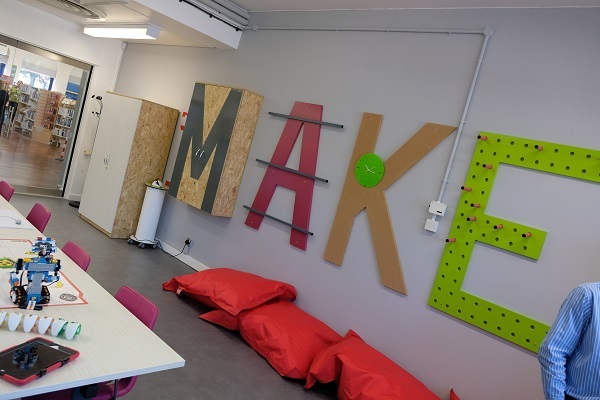 Let’s Make Spaces will sit within Nuneaton and Rugby libraries – the latter also opening very soon – offering people of all ages the opportunity to discover new technologies together and learn how to use their digital skills in exciting, innovative ways. 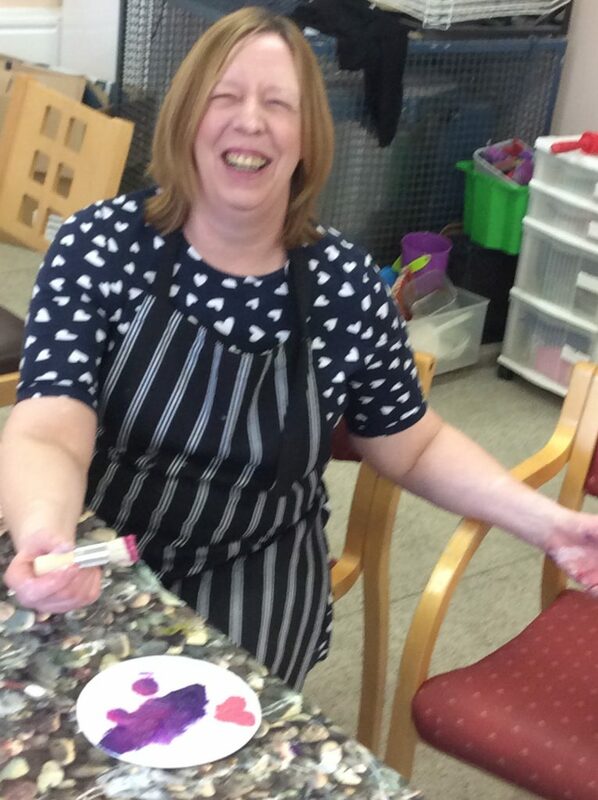 People with learning disabilities from our Warwickshire service helped the County Council design Nuneaton’s creative space so that more people from different walks of life can make full use of the free facility. It is hoped the project will get more young people interested in STEM (Science, Technology, Engineering, and Maths) and start to build skills that could help their future job prospects in these areas. 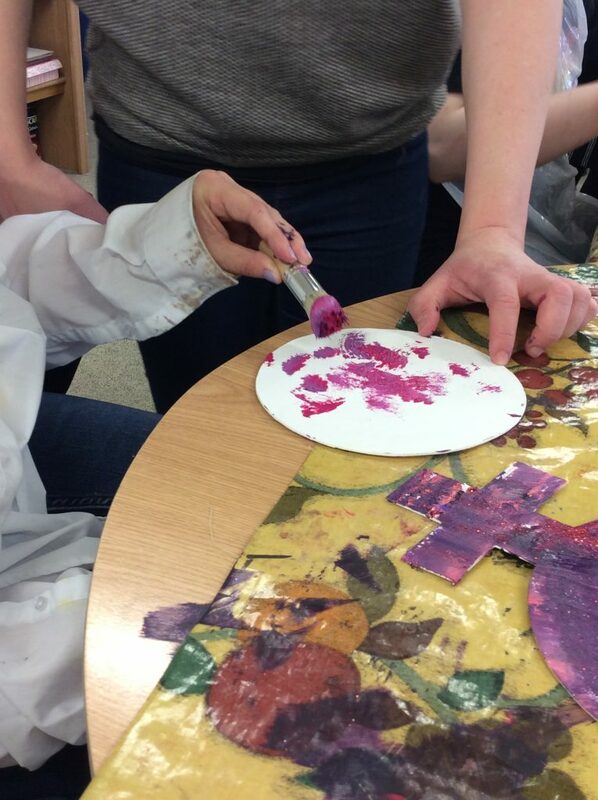 This partnership between Grapevine and Warwickshire successfully connected people with learning disabilities to a local service they might not otherwise have used and has also provided them with the chance to contribute to its design, guaranteeing equal access (and enjoyment!) for everyone. 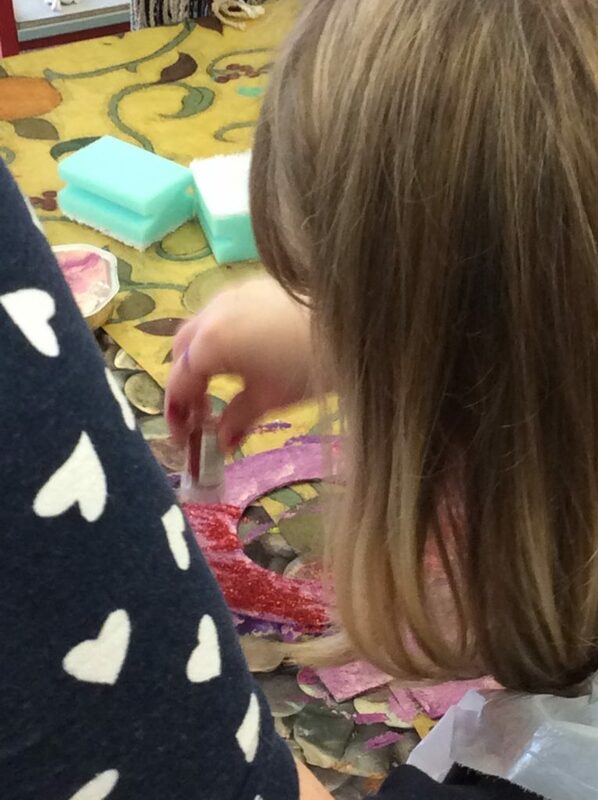 Find out more about the Let’s Make Spaces here. Images from Warwickshire County Council. 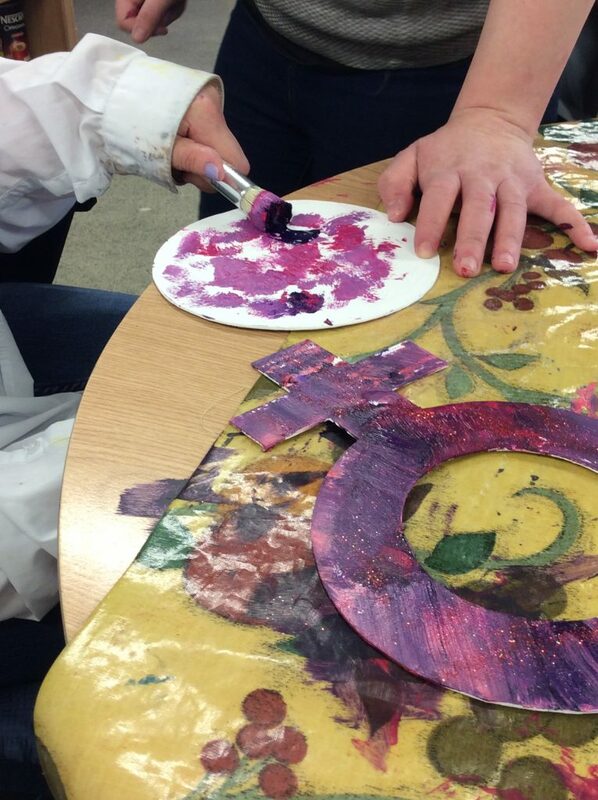 For the second event celebrating IWD in Nuneaton, Mel from Escape Arts led an art session with folk at the Ramsden Centre. 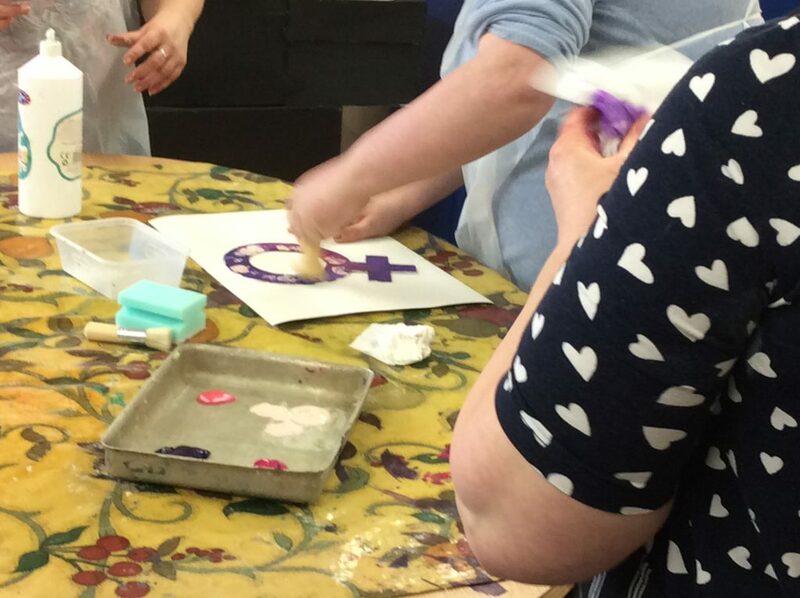 The group had great fun with paints, brushes, stamps and sponges to create a piece of artwork to be displayed at a series of IWD events over the next two weeks. 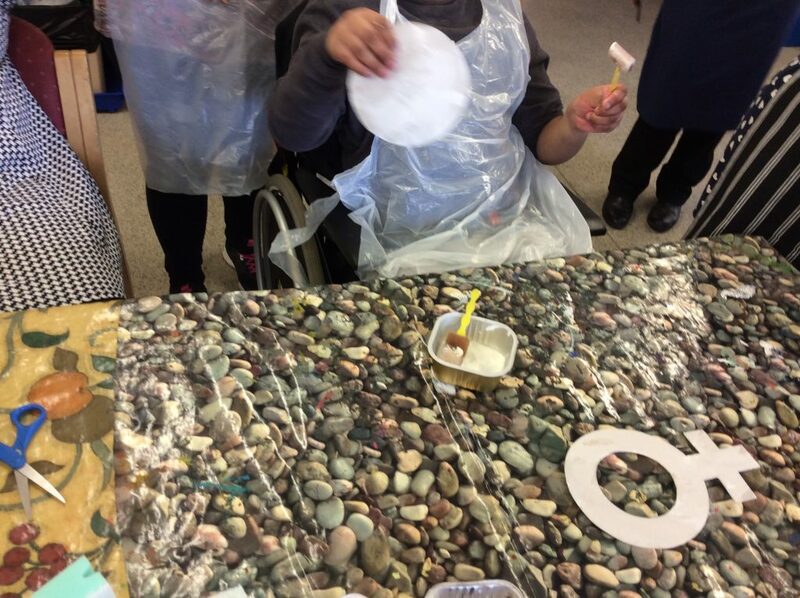 We are proud to say lots of mess was made, laughter filled the room and everyone enjoyed the experience. 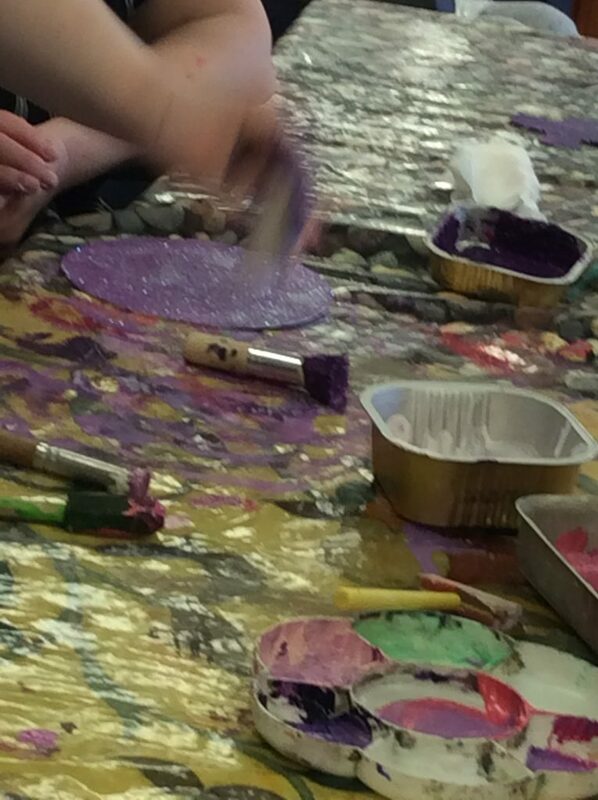 The session was made possible by Dawn from Grapevine Empowerment Service and Maxine who is the Community Development officer for Nuneaton and Wembroook. It was a great example of partnership working within the local community. 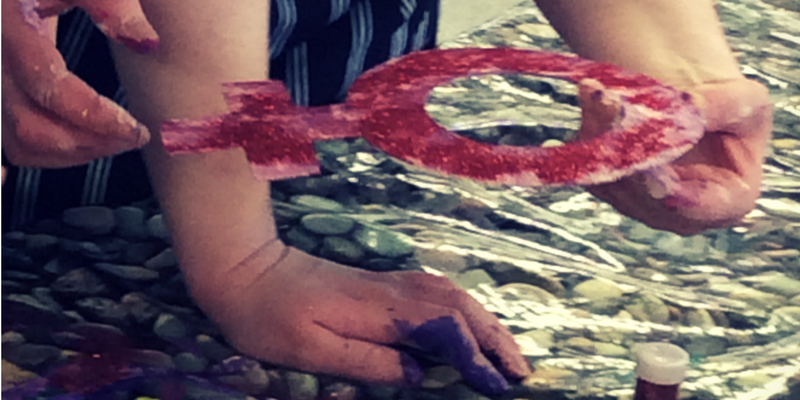 Find out what else is going on and how you can get involved. 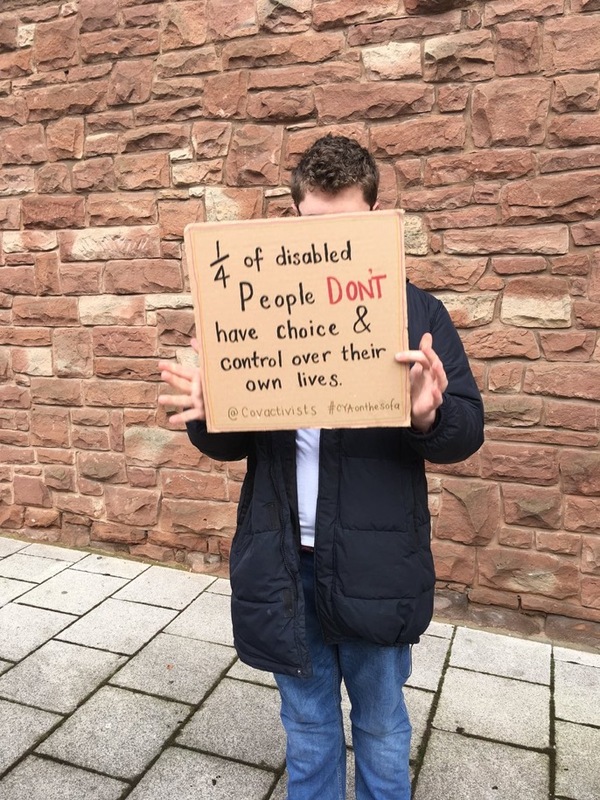 Over a 1/4 of people with disabilities don’t have control over their own lives. They have fewer friends, less paid work and society can have lower expectations of what they are able to do. 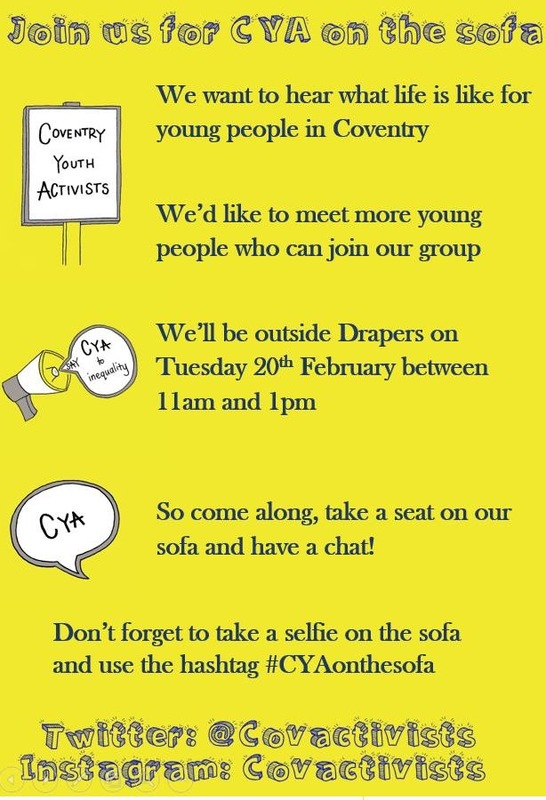 The Coventry Youth Activists wanted to get their voices heard in a fun and engaging way. 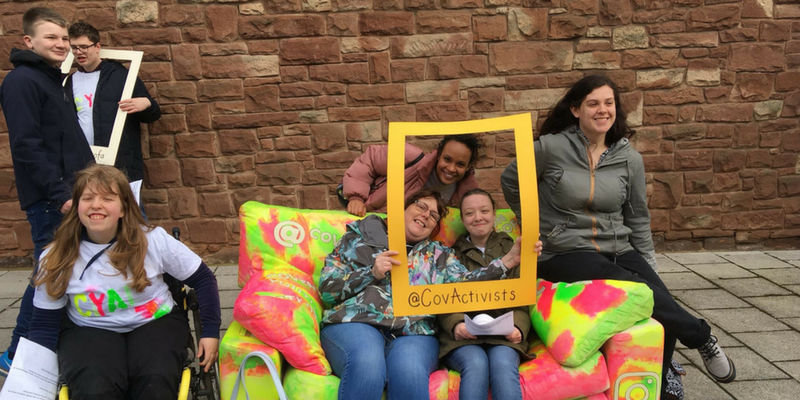 So what could be better then to capture people’s thoughts on a sofa ‘crowd-sourced’ with the help of our friends at BBC Coventry and Warwickshire? Last week they turned Grapevine HQ into a production line for their event…T-shirts, banners, and the sofa were branded with their colours. 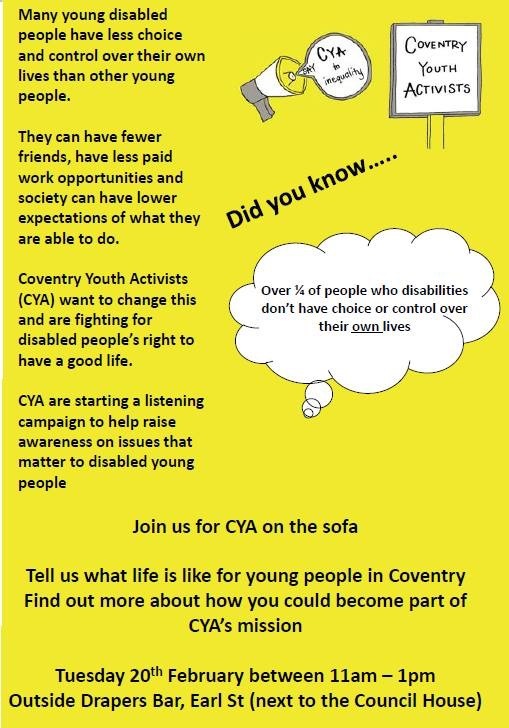 On Tuesday 20th Feb they shared their message with Coventry. People listened and more importantly joined in. 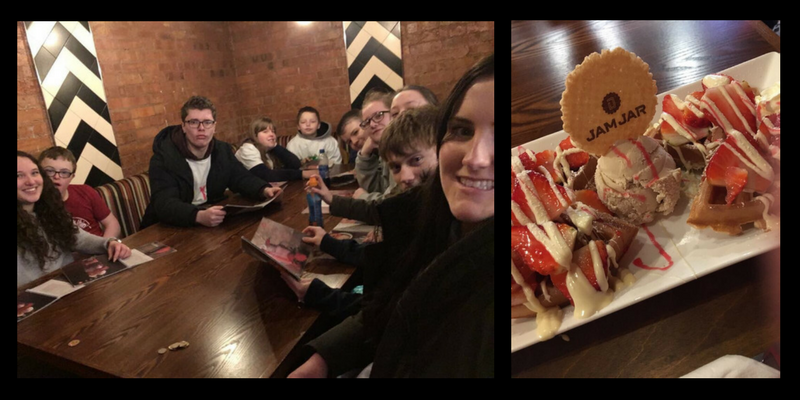 Afterwards they rewarded themselves with ice cream – the perfect end to a busy day of campaigning! 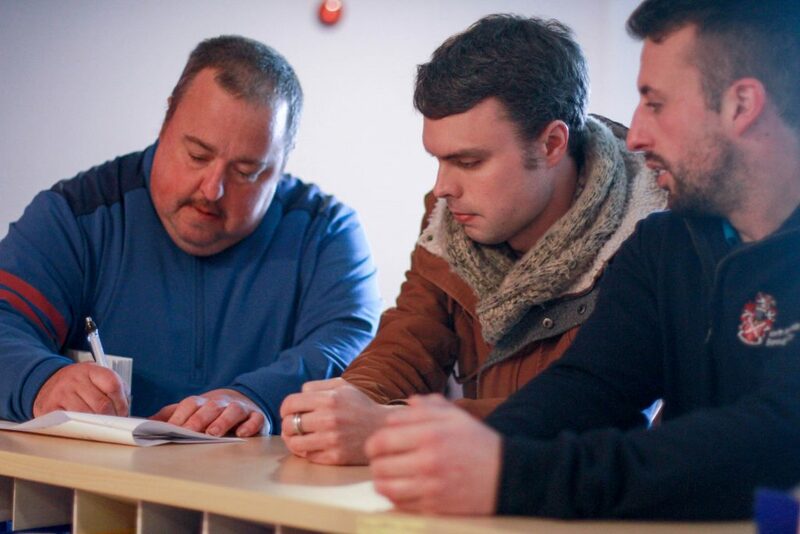 They met with Peter Wheaton, Leisure Facilities Manager for North Warwickshire Borough Council, and some of the team. Some of the group are regular users of the gym so gave Peter some feedback about what’s great about it, like friendly staff. 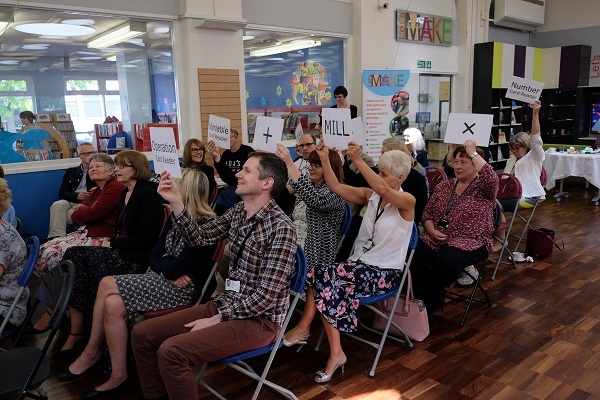 But some of the group had not been in before and they explained their reasons – not being able to see signs about what’s on offer, for example. They really enjoyed their time and felt that it helped Peter and the team to understand how to improve the service for everyone. Peter said ” The outcomes from the session will enhance the more general experience for the whole community which is a real positive outcome”. Looking for work? Need support? Coleman has started working alongside Alex on the Accelerate team. That means we can now help more people wanting paid work. 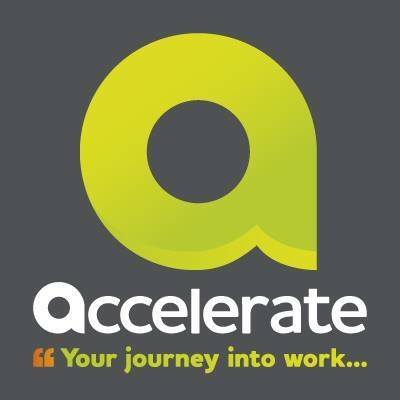 “Accelerate is a free employment support service that can build your confidence, give you training, improve your skills and provide valuable work experience – all geared towards helping you find a job that suits you. We specialise in supporting people who would like to work but for various reasons find it hard to get a job and enjoy all the benefits that employment brings. We offer practical help to deal with problems that have been holding you back including covering the costs of childcare and subsidised travel while you’re accessing our service. 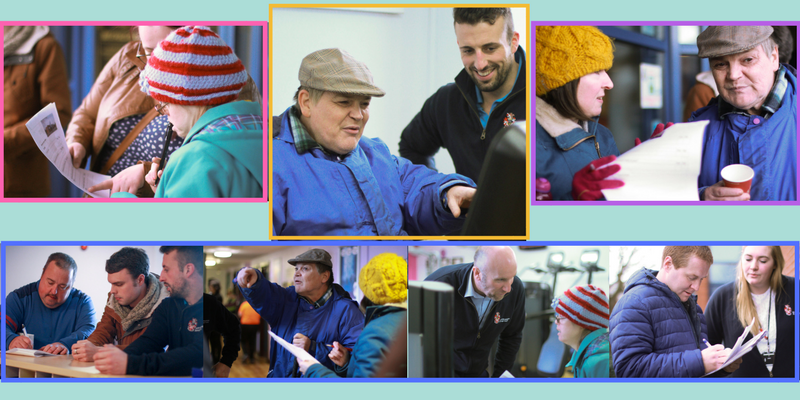 Accelerate is a partnership of 23 local organisations providing co-ordinated employment support to people who are at a disadvantage when looking for work. 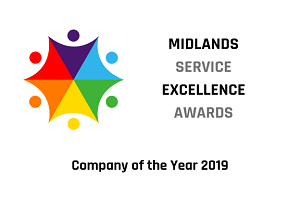 Our partnership includes training providers, charities, housing associations, disability support, women’s only services, wellbeing and mental health organisations, enterprise start-up, childcare providers, local authorities, community radio and employer networks.